If you're looking for a cheap and practical way to get around town, look no further. 50cc motorcycles and scooters are among the cheapest vehicles on the road to buy, tax, service and insure. Motorcycles and scooters are usually classified in two ways: by their style (sports, touring, off-road etc. ), and by their engine size. The CC measure stands for ‘cubic centimeters’, and relates to both how large an engine is, and its power output. They also generally have their top-speeds limited to between 30 and 40mph, to keep them within various government guidelines. Their safety and simplicity mean they are cheap to buy and insure and make a great choice for young and inner-city motorists. 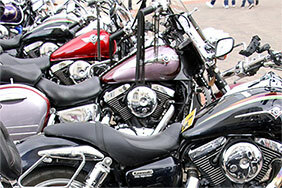 You can find more information in our guide to the 7 basic types of motorbikes. 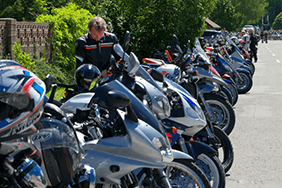 Many 50cc bikes and mopeds are legal in the UK for road use by riders aged 16 and up. The minimum legal requirement is completion of the CBT (Compulsory Basic Training), theory and practical tests. 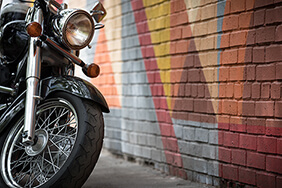 If you're aged 16, you’ll need to display L plates on your bike at all times, until you reach 17 and complete the practical and theory riding tests. 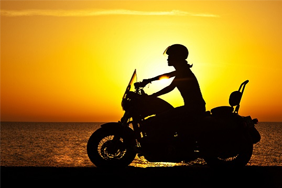 Remember that it’s also a legal requirement that you tax and insure your vehicle before riding it. 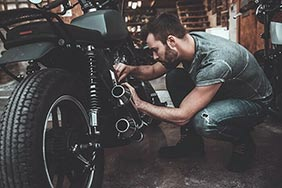 You’ll find a full breakdown of the tax bands applicable to motorcycles on the Gov.uk website, though 50cc bikes and scooters generally fall into the cheaper groups. The main selling point for 50cc bikes is that they can be ridden from 16 years of age. 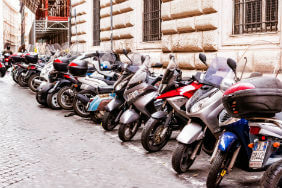 Since they are designed to be cheap, low-maintenance vehicles, there tends to be a rather limited range to choose from; most 50ccs are in the scooter style, or small sports-type bikes. the price differences between new and second-hand models. In some cases, the additional expense of a new model may be worth the peace of mind and reliability that comes with it. 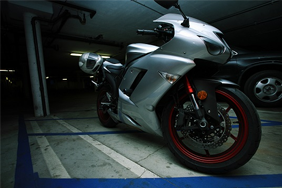 You should make sure to look into yearly tax costs, though these are generally quite cheap on small-engine bikes. You'll also want to check the prices of any riding equipment you need, such as a helmet, which must be worn as a legal requirement. Often, one of the biggest expenses associated with motoring is the yearly insurance premiums. The cost of insurance makes it essential to shop around and compare prices to make sure you’re getting a good deal. 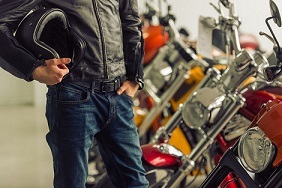 Third party only - covers the costs payable to the other person/vehicle involved in an accident, but none of your own, meaning any damage to your bike will often have to come out of your own pocket. Third party fire & theft - offers the same level of cover as third party only, but with additional peace of mind if your vehicle is damaged by fire or stolen. Fully comprehensive - is usually the highest level of cover available, and should pay out the cost of any damage to your vehicle, as well as any third party claims made against you following an accident.